Despite massive changes in the grocery industry, low-tech, traditional grocery store flyers and cut out coupons are still essential and amazingly popular marketing tools for grocery retailers. Competitive pressures are intense, social media has changed how we think and how we behave, and technology provides new tools for all of us to explore, communicate, and conduct retail transactions. Never-the-less, in a recent survey conducted by Customer Impact, most customers who use coupons find them in ordinary newsprint flyers available at the store or delivered to their homes. The consumer panel, made up of 1835 individuals 21 – 70 across the United States indicated that traditional chain supermarkets are still favored. The bad news for those retailers is that customers have lots of choices and many influences, so the next trip to the store could be down the street, or items simply picked up elsewhere to save time. Loyalty is extremely fragile. Reward programs appear to be ho-hum as primary driver. The 40 and under crowd are checking recipes, deals and websites while strolling through the aisles, and the good old-fashioned grocery circular is still very popular for both younger and older consumers. We still like to make grocery lists and roughly a quarter of us have no idea what’s for dinner at 4:00 p.m. Oh, and by the way, nobody wants to pay full price for anything anymore. 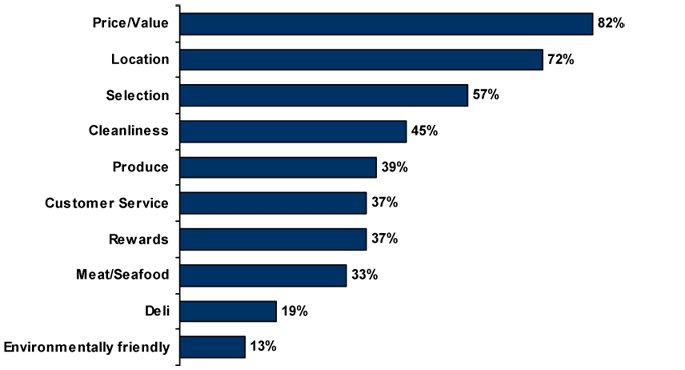 Most respondents still consider the large traditional chain supermarket as their primary destination for most of their grocery items, and by a fairly good margin, with supercenters such as Target and Walmart scoring second. Other retailers did not show up significantly as primary destinations, but they are present – plenty of them – and capturing share of wallet just the same. The majority of respondents visited their primary store 1 or 2x per week, spending $100 – $150 each week. 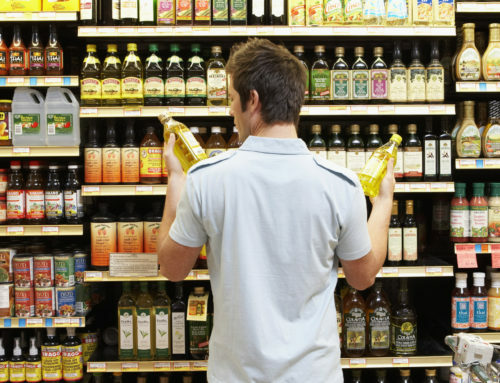 What type of store do you prefer for MOST of your household grocery items? It’s very clear that competition for the grocery dollar has intensified. Lots of high quality retailers with enticing local options and excellent value propositions are out there. 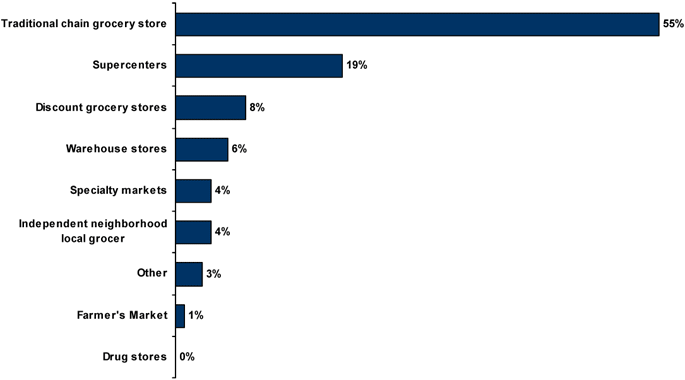 We asked where the shoppers had been over the past month – stores that sell food and grocery items – to get a general sense of the competitive environment.While traditional supermarkets made the top of the list, most respondents had also been to a supercenter (no surprise there), but 25% had been to a Farmer’s Market in the past month. And, one-fourth had also visited specialty markets, the local grocer or a discount grocer. Those options are localized and specialized – creating a “feel good” choice. Most of those retailers have smaller more intimate spaces, local sources, and selections that make sense in the neighborhood – be it rural, urban or suburban. So, they cater to their small geographic area. This may be a subtle shift, “Local is the new Global” type of movement, but the small local options could be a factor. You may not intend to pick up cereal from the upscale market where you bought those farm fresh tomatoes, but the end aisle display offers an attractive price and might as well get the bread and soda to save yourself a trip to the grocery store, which shrinks the basket at the traditional supermarket. Drug stores were of interest. When you buy vitamins or pick up a prescription, you may just buy coffee, canned goods or milk. Thinking about last month, please indicate ALL the types of stores you visited. What’s important to consumers? The industry remains predominately price/value, with more than 82% of respondents citing low prices / value most often as a reason to shop at their favorite store.Location, selection and cleanliness rounded out the top four. Other considerations were produce, customer service and reward programs. It’s clear that operational excellence – cleanliness and customer service are very important. Please indicate ALL the important reasons you shop at your favorite store. For a price/value industry it’s probably not surprising that nearly 60% of respondents – all ages – regularly use coupons. In a technology driven world, though, it’s a little surprising that the most common place to find coupons was the traditional newsprint store circular (either delivered to the home or picked up as customers walked into the store). It’s obviously hard to break old habits! 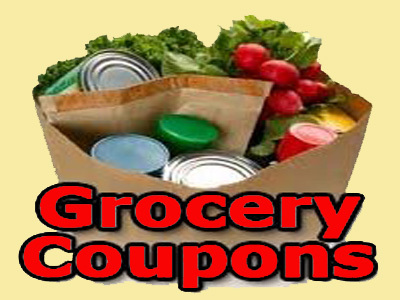 If you REGULARLY use coupons, where do you obtain your coupons? Retailers might want pay attention to the younger crowd. The majority of 40 or younger respondents use cell phones to manage shopping lists, check recipes and ingredients, visit the store website or find specials via cell phone while cruising through the grocery aisles. Most of us belong to multiple loyalty programs, the best estimates are 18-20 for U.S. households. While 37% considered loyalty programs one factor in selecting their favorite store, ust 5% of survey respondents said it was the single most important factor in selecting their choice of grocery stores. With gasoline reward programs on the increase, we asked if gasoline rewards had influence on where they shop, and just 21% of respondents felt they did. Not sure? According to the survey, 23% said that at 4:00 p.m. on most days they have no firm plan on what’s for dinner that night, indicating a possible growth sector for prepared selections at the grocery store. 47% of respondents felt that a grocery list was critically important, but most of us deviate from the list and expect to buy other items. The survey was conducted between October 24-31 with 1835 respondents from the United States. Respondents ranged in age from 21-70. For a full complimentary copy of the grocery survey results, please e-mail mgreen@customerimpactinfo.com. Customer Impact partners with all types of retail organizations nationwide to improve sales, profits and growth potential through mystery shopping, customer satisfaction and retail compliance surveys. Customer Impact is located in College Station, TX.